Charming rental units available year round in a premium location next to Sandbanks Provincial Park. Choose to rent one of The Old Dairy Barn's three units or any combination of the three. A very large (~1700 sq ft) 3 bedroom luxury suite with large full service kitchen, huge living room with field stone fireplace and baby grand piano, 2 large decks. Or rent the whole ground level as a 3 bedroom cottage with modern amenities. 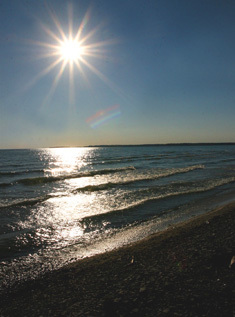 The beach at Sandbanks Provincial Park is just steps away!